24 notes that express the grief we AMERICANS are feeling; when words fail. 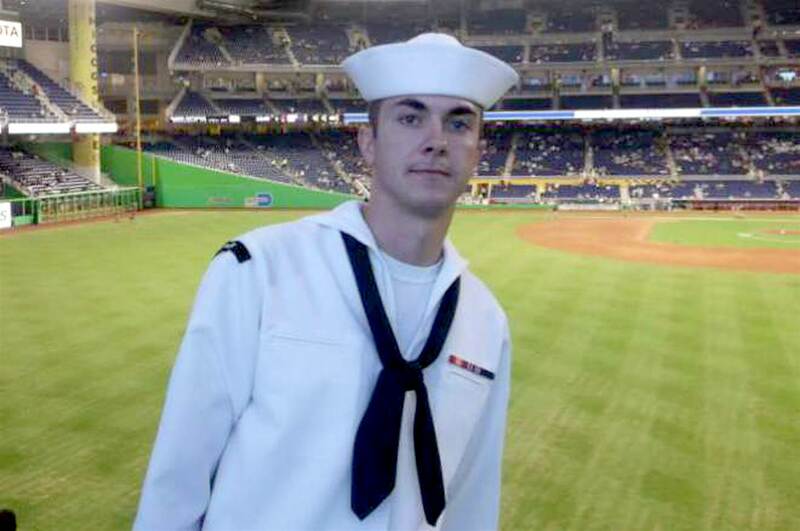 This is a tribute to Navy Petty Officer 2nd Class Randall Smith, 26, who succumbed to wounds received in Thursday’s gun rampage, and to his four fallen brothers in arms that lost their lives in Tennessee. Gunnery Sgt. Thomas Sullivan, from Springfield, Mass. Lance Cpl. Skip “Squire” Wells, of Marietta, Ga.
Sgt. Carson Holmquist, of Grantsburg Wisc. Staff Sgt. David Wyatt, of Chattanooga. Sgt. 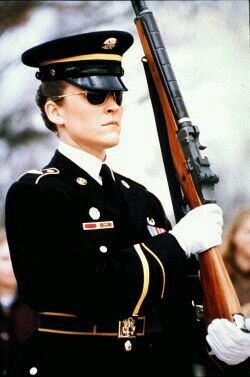 Heather Lynn Johnson is the first woman to guard the Tomb of the Unknowns at Arlington National Cemetery. Cpl. 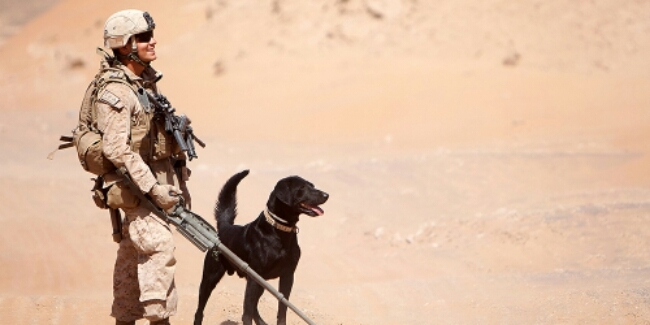 Sean Grady, a dog handler and pointman with Echo Company, 1st Light Armored Reconnaissance Battalion, and Ace, an improvised explosive device detection dog, pause for a break while sweeping a chokepoint during a patrol here, April 27, 2012. Heroes come in all forms, shapes, and sizes. Some walk upright on two legs, and others rove on four, with wagging tails and shaggy fur. Marine Cpl. Jeff DeYoung and his military working dog, Cena, supported combat operations in Helmand province, and were wounded in the line of duty —- DeYoung used his body to shield Cena from incoming machine gun fire — but continued their mission, even participating in Operation Moshtarak, the largest operation in Afghanistan at the time.